As usual our Octane One crew will be present at Eurobike Expo to bring you the latest offerings that will be available in our 2014 collection. So if you happen to be in Friedrichshaffen, Germany don't forget to stop by our booth at Open Air Grounds West - FG-A7/3. If you cannot make it do not worry. We will bring you the highlights straight after the show on our website. Big Shout out to Richard McGibbon Photography. Great dude and great pictures like this dumped 360 by none other then Matt Macduff reppin Octane One and The Rise. This is what we call a proper old-school ad for a bike park opening. More news and photos shortly. 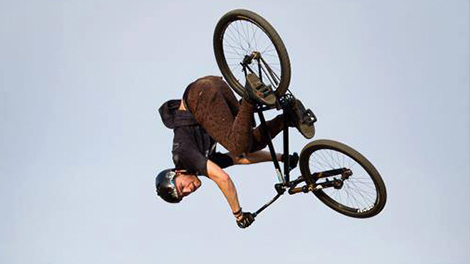 Our Octane One team rider - Matt Macduff and LamaCycles Distribution freestyle crew had a lot of fun during City8 event in Quebec. Congrats for finishing on the 7th place Matt! 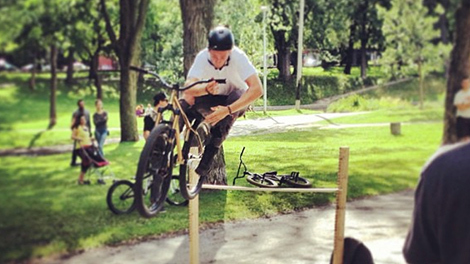 Mad hop barspin by our Octane One team mate Matt Macduff at the annual The Rise Jam in Montreal last weekend! 36inches! Can you even hop that high? Matt Macduff 7th at City 8! 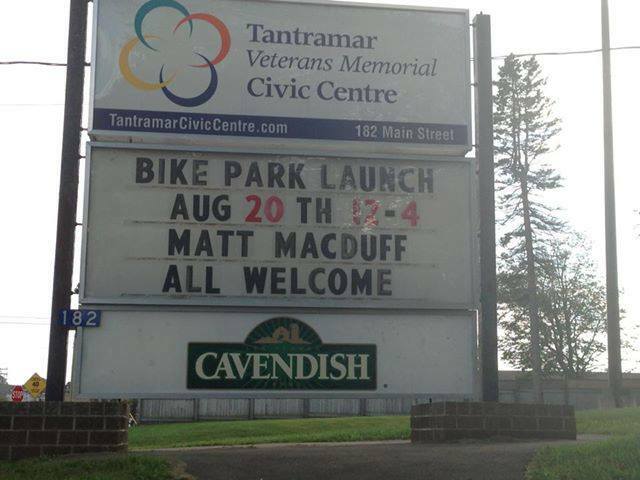 Freestyle mountain biker Matt Macduff is one of the most motivated athletes out there. Not only is he extremely motivated on his bike, he also puts a lot of efforts giving back to the sport as a whole. Over the last couple years, he released countless insane web videos with nothing but his will to get kids stoked on riding bicycles. This year, he decided to dedicate himself to a project he had in mind for a long time: Project Breathe Easy Project Breathe Easy from Louis Lhomel on Vimeo. 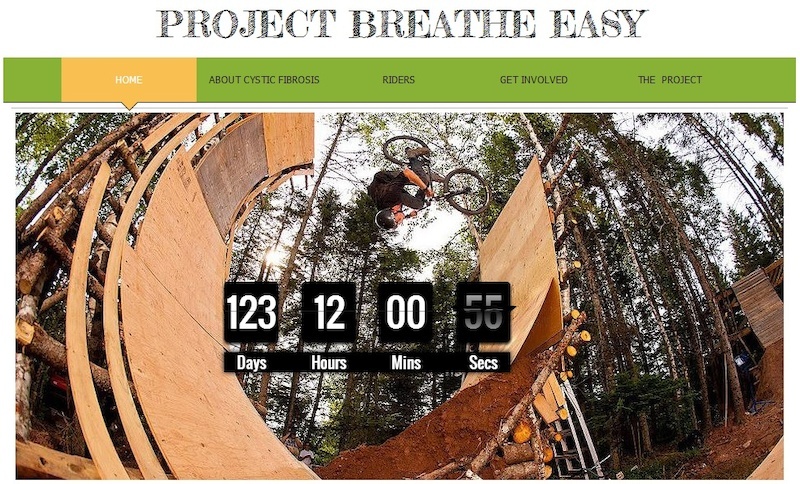 Project Breathe Easy is a fund raising campaign for Cystic Fibrosis Canada through the promotion and distribution of a full length film featuring some of the world's top, most innovative freestyle mountain bikers. Cystic Fibrosis is the most common fatal genetic disease affecting Canadians including Matt's younger sister Caitlin and approximately 4000 people in Canada. With one person passing away weekly the disease is no joke. Currently 18 years old, Caitlin is already halfway through the average life expectancy along with hundreds of others. For the last couple months, Matt has been hard at work in Nova Scotia, spending countless hours building a one of a kind slopestyle course packed with unique features that are guaranteed to get everyone stoked! 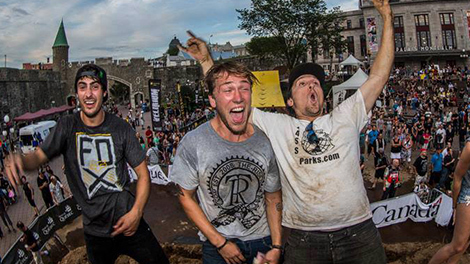 Once the course will be ready, invited riders Sam Reynolds, Pavel ‘Vishneviy’ Alekhin and Sam Pilgrim will fly their way to Nova Scotia to ride the course with Matt, while videographers Nic Genovese and Aaron Larocque from Mind Spark Cinema capture the action. They will produce a movie that will be available for purchase through iTunes with the objective of raising over 50 000$ for Cystic Fibrosis Canada. Last year's "Dreams" was just the point of the iceberg for Matt and the S.O.F.